"All the world's a stage," Shakespeare famously wrote, "And all the men and women merely players." True in a figurative sense four centuries ago, thanks to the proliferation of performing arts schools in the US, it is becoming a little more literally true with every passing year. Indeed, it is no small irony that those words come from ‘As You Like It’, because in America at the dawn of the 21st century, performing arts schools are becoming as specialized as their performers. This specialization is driven in large part by increased demand from performers and audiences alike. After all, thanks to performing arts programs like theater, dance, music, opera, and even spoken word in primary and secondary schools, many would-be performing artists have already set their eyes on success long before filling out their first college application. Indeed, because an increasingly number of high schools have (or are themselves dedicated to) vibrant performing arts programs, post-secondary performing arts schools in the US have a wonderfully well-trained source of applicants. Of course, the applicants themselves have the opportunity to their passions to every corner of the country. Usually when people think of a performing arts schools in the US, famous conservatories that are dedicated to a single field of entertainment come to mind. Thus the Juilliard School is synonymous with dance, New York University’s Tisch School of the Arts with film, and the Yale University with drama. But while famous names like this specialize in performing arts educations, don’t submit your application just yet: most colleges and universities offer performing arts programs. In fact, these schools offer many advantages over their smaller, more specialized counterparts. After all, larger state colleges and universities can offer a wider variety of academic options, more resources, lower overall costs, and more on-campus activities to their students. That last point bears repeating, because the importance experience plays on advancement in both theater and dance. Because it is very common for larger colleges and universities to have more than one performing arts venue on their campuses, their larger scale and diversified offerings give students more opportunities to engage directly with the arts. Not far from Yale’s Hartford campus, for example, Sacred Heart University	showcases its dramatic flare through its renowned theater arts and musical theater programs. In addition to theater, however, Sacred Heart University has a multi-faceted music program which includes both choir and band programs. Thus, because of its diverse offerings, Sacred Heart University provides students with the chance to dabble in fields as diverse as acting, singing, stage directing, backstage management, and costume design. Not that performing arts greatness is reserved solely for the Northeast. The state of Florida, for example, has numerous colleges and universities that have large performing art programs. The University of North Florida, with its College of Arts and Sciences, has an extensive and well-developed musical program located in Jacksonville, Florida. At UNF, students can earn their Bachelor’s Degrees in subjects as varied as Music, Music Education, or even in the well-respected Jazz Studies department. Students from around the world study at UNF so that they can focus on performance art in a variety of areas like theater, dance, and song. Thus, in the end, the first step for any inspired student is to search for a school that you think fits your passion for the performing arts. A great performing art school search engine can help you search and find options that fit you because, to quote Shakespeare once again, “one man in his time plays many parts,” and, as you can see, the options are limitless. 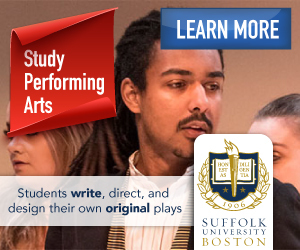 Visit the Study in the USA School search to find schools that offer programs of study in Performing Arts. Learn more about studying performing arts in the USA by reading our growing article collection. « Study Guide by Subject	« Study Performing Arts in the U.S.
Over time we will be updating this section and including more information for those who want to study performing arts in the USA and for other countries, but please feel free to post your thoughts and comments on our Facebook fan page, and also follow us and post questions through Twitter.